Celtic festivities don’t end with St. Patrick’s Day. March is officially Celtic Month in the state, a designation that was spearheaded by the Caledonian Society of Arizona. This month is filled with saints’ holidays and arguably one of the biggest Celtic events of the year: the Highland Games. 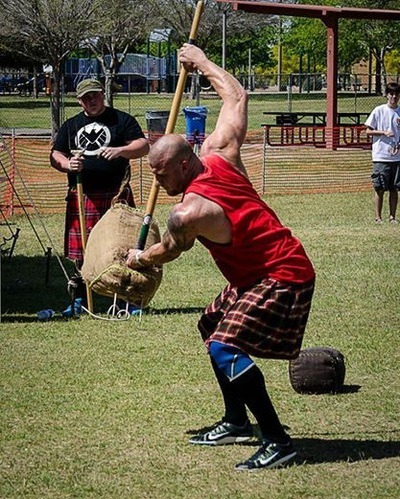 The annual Glenmorangie Scottish Gathering and Highland Games kick off Saturday, March 21, and end the following day at Steele Indian School Park, 300 E. Indian School Road in Phoenix. New this year is the Loch Ness Fashion District. Complete with a wine bar, various entertainment options, and fashion shows exhibiting designs from Maren Maclean, Cody Barker (Defy Mi Designs), and award-winning costume designer Nola Yergen, the Fashion District aims to bring a little more “grown up fun” to the games. Keep an eye out for Nessie — Loch Ness’ famed plesiosaur will be haunting the area! 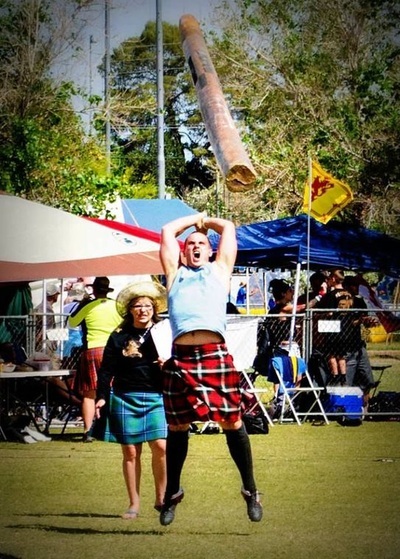 If you haven’t attended the games before, there are several things you need to see, said Glenmorangie Scottish Gathering and Highland Games Chairman Paul Bell. First on that list is the games themselves. “It will be one highlight from start to finish both days. We have music and entertainment from one end of the park to the other,” he said. This year’s Women’s World Championships will be the largest and most comprehensive in the Games’ history, boasting up to 12 of the best throwers in the world. Also new this year will be the youth rugby demonstrations. Genealogists will be on hand to help visitors uncover their Celtic roots. There will be plenty of food and drink with Scotch tastings at the Glenmo Lounge. Musical entertainment will include performances by traditional Celtic music band Highland Way, multi-ethnic fusion ensemble Traveler World Fusion, and local Celtic music group Stoneybank. Get your bagpipe fix at the pipe jam and drum corps competition at 7 p.m. Friday, March 20, at the Westin Kierland Resort and Spa, 6902 E. Greenway Parkway, Scottsdale. 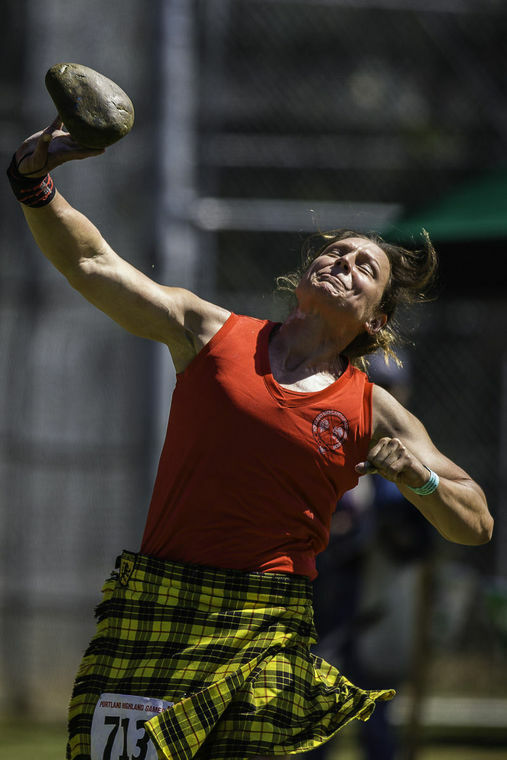 Scottish dancing, educational seminars, British cars, and much more make this year’s Highland Games a must do. The games are coordinated by the Caledonian Society of Arizona, which has been in the state since 1978. 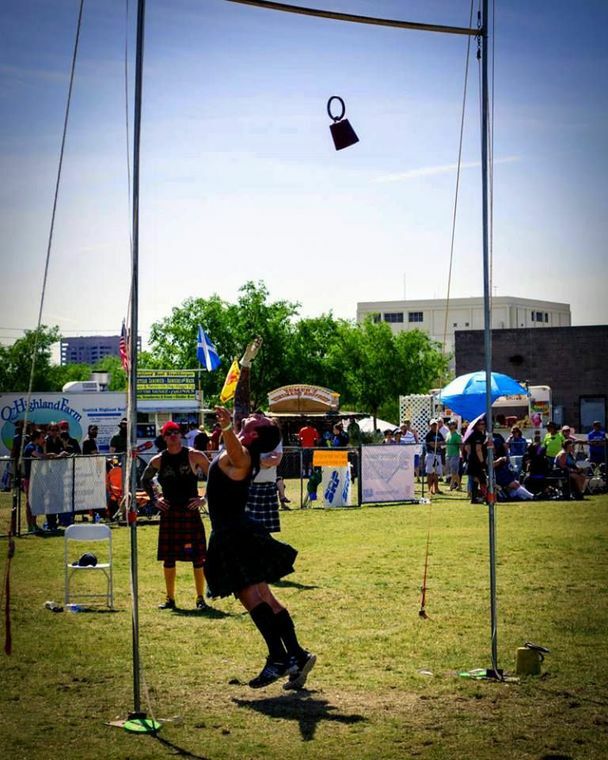 The society is the largest Celtic organization in Arizona. Don Finch, the acting president of the Caledonian Society, said there is a core group of several hundred active members who help support the various activities throughout the year, like the games.